"Is Your ERP Killing Your Manufacturing Business? 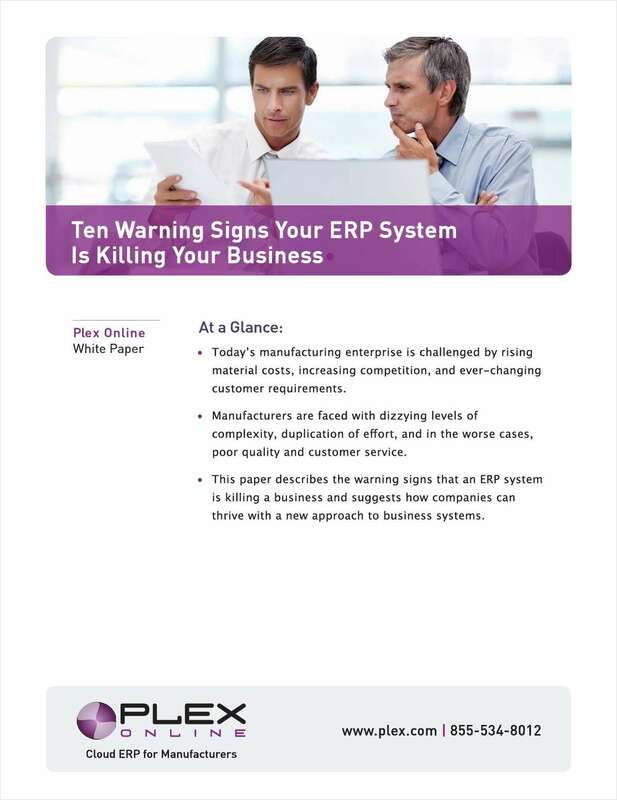 The 10 Warning Signs"
Free White Paper: "Is Your ERP Killing Your Manufacturing Business? The 10 Warning Signs"
Look for these 10 signs that the end is near for your manufacturing business - and your ERP is the culprit.